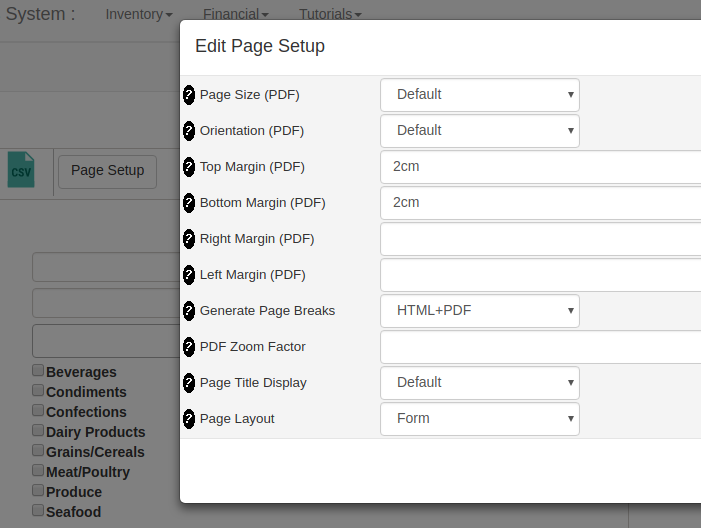 This release reinstates the Form style layout, so that you can show a row of data in a vertical page format, 1 line per column. By default reports show data in Table style, in tabular format. This feature has been implemented via the new Reportico Themes feature by modifying the theme template to include a different layout in the twig language. If you wish to alter the layout for form mode then you can copy the the themes/default folder to your own name and in your run.php change the current theme to your new one. The layout for Form mode can then be modified by editing the execute-content-form.tpl file. The layout for standard Table mode can be found in the execuge-content.tpl file. More about this will appear in the documentation in due course! Remember if you do feel like modifying themes, after any changes you must clear the themes/cache folder to get your changes to take effect.